Sue and Paul would like to welcome you to Palm Beach Bed and Breakfast. 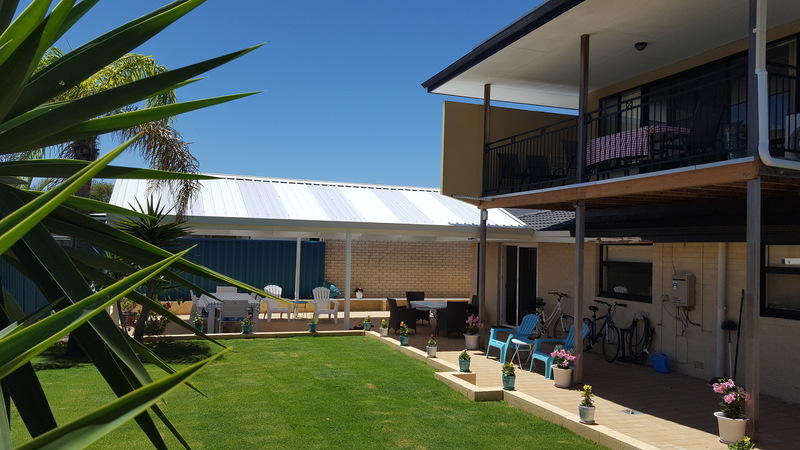 We are Rockingham’s affordable indulgence in beachside accommodation, offering a carefree travel experience for local, international and corporate guests. 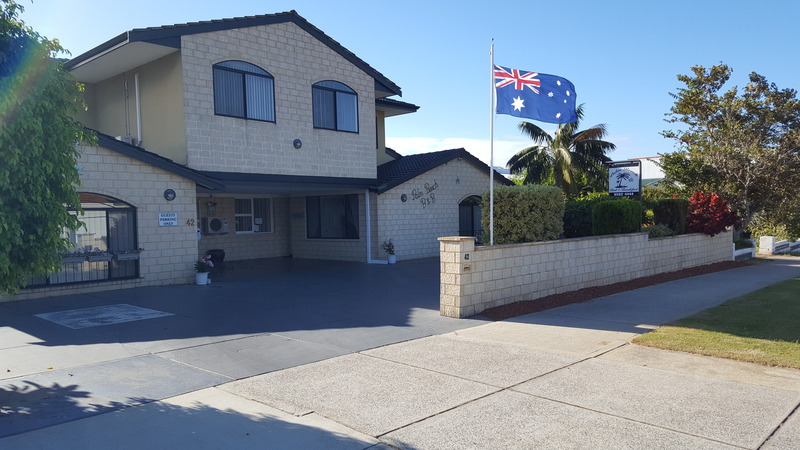 Just a 4 minute walk from a safe, family friendly beachfront and park, Palm Beach is one of Western Australia’s best kept beaches, on a pristine stretch of this glorious coastline. With six guest rooms, Palm Beach Bed and Breakfast is a spacious double-story beach themed retreat. Room number 2 has its own adjacent private bathroom, whilst the five other rooms boast their own ensuite/shower bathrooms. Complimentary hair dryers, shampoo and conditioners are provided in each bathroom. Complimentary continental breakfasts are provided; these include a selection of breads and spreads (Jams, Marmalade, Vegemite, Nutella, Honey and Peanut Butter etc. ), cereals, ham, cheese, eggs, fresh fruit and yoghurts. We also provide unlimited tea, coffee, fruit juice and bottled water. For the discerning coffee connoisseur, filtered coffee makers and coffee plungers are available. Each room has its own reverse cycle air-conditioning/heating unit, fridge, free Wi-Fi and Smart TV which includes full access to Netflix. Irons, ironing boards and clothes airers are also provided in each room. On the ground floor, Rooms 3, 4 and 5 have their own kitchenettes with microwave ovens, kettles and toasters. These rooms also have their own private access, separate from the main house entry. We are a pet friendly establishment and will accept small dogs, free of charge, in these rooms. Rooms 3 and 4 can be utilised as a self-contained unit and access can be closed off from the main house. With accommodation for a maximum of 6 people, this area is large enough to accommodate a family group and still maintain your own privacy. Room number 6 has ample room for an additional fold-out single bed, and also includes a Spa Bath within the ensuite/shower room. Room 7 is a spacious family room with a queen size bed and 2 single beds, also with ample room for an additional fold-out single bed. The upper floor contains a tastefully furnished communal lounge room incorporating relaxing furniture, a smart TV, with Netflix access, coupled to a DVD player. 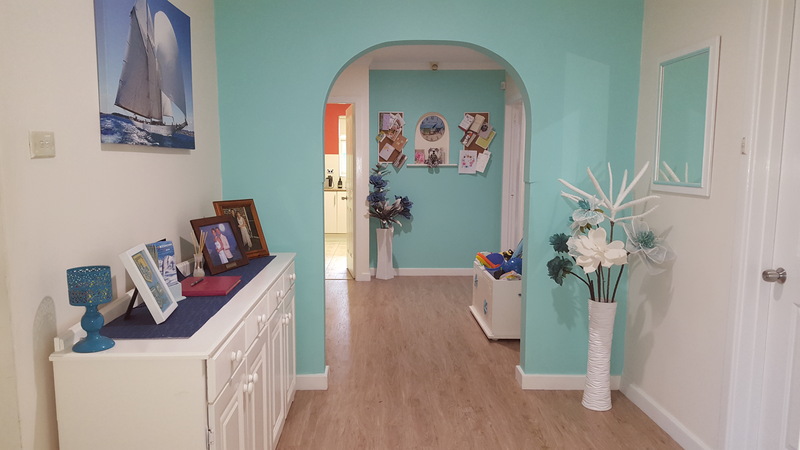 Also provided, on the upper floor, is a fully equipped communal kitchen, incorporating a pop-up toaster, sandwich toaster, electric frying pan, filter coffee machine, electric kettle, full sized fridge, microwave oven, gas stove top and electric oven. A front loading washing machine is provided for guests use, as well as the full laundry facility on the ground floor. sunsets can be viewed from the balcony whilst you are enjoying a relaxing glass of wine or cool beer on a balmy summer evening. Garden Island and the Causeway can be seen in the distance. A large rear garden with an alfresco dining area, beneath a cool shady patio, and complimentary use of a gas BBQ are available for our guests and their guests use. Our Bed and Breakfast accommodation is perfectly suitable for travellers of any kind and we are well equipped and experienced in providing tailored packages catering to your personal or company’s needs, please feel free to contact us and discuss your requirements. We are only 500m from safe beaches that include beautiful scenery, dolphins and some of Perth’s premier fishing. 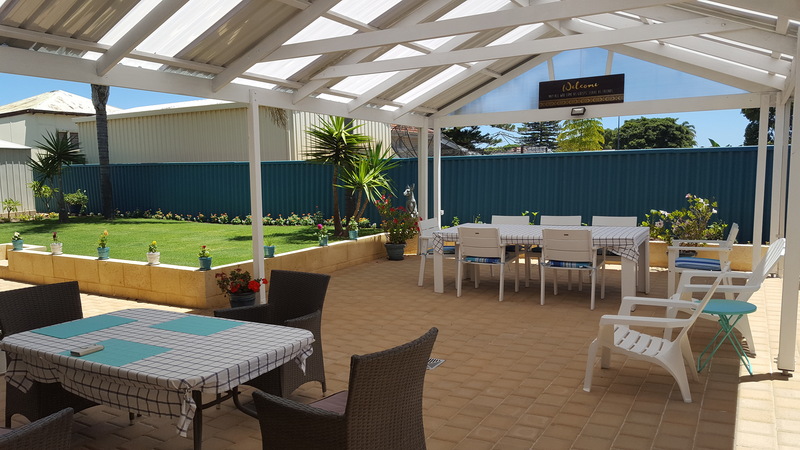 You can walk along the foreshore strip to experience casual or fine dining at many of Rockingham’s award winning restaurants, cafes, wine bars and pubs, or you may wish to make use of the free communal BBQ facilities located in the picturesque parks along the coastline. As your hosts we take pride in offering our guests a home away from home; “Our home is your home”. We look forward to welcoming you and sharing all that Rockingham’s Waterfront Village, staying at Palm Beach Bed and Breakfast, has to offer. Best wishes, Sue and Paul.